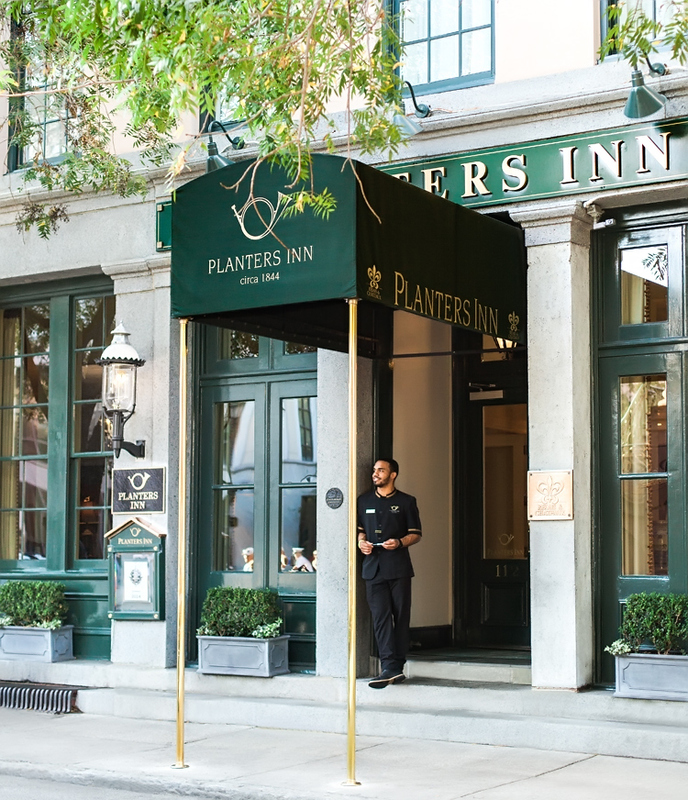 When Planters Inn was built in 1844, it secured the very best location of all Charleston hotels. Today, the beloved Relais and Chateaux luxury hotel enjoys an unrivaled position overlooking the Charleston City Market in the heart of the downtown Historic District. Experience gracious hospitality and refined style on a grand scale in the historic hotel’s spacious accommodations. Every Planters Inn room is a serene haven of luxury with an exquisitely-carved four-poster king bed and sumptuous hemstitched linens. The 175-year-old Grande Dame Charleston Hotel also holds a secret: A hidden garden courtyard illuminated by flickering lanterns and candles provides a splendid sense of arrival to Peninsula Grill, one of the most romantic dining experiences in Historic Charleston and home of the famous 12-layer Ultimate Coconut Cake. Planters Inn has earned Four Diamonds every year since 1995 and is the sole Relais & Châteaux luxury hotel located in South Carolina. 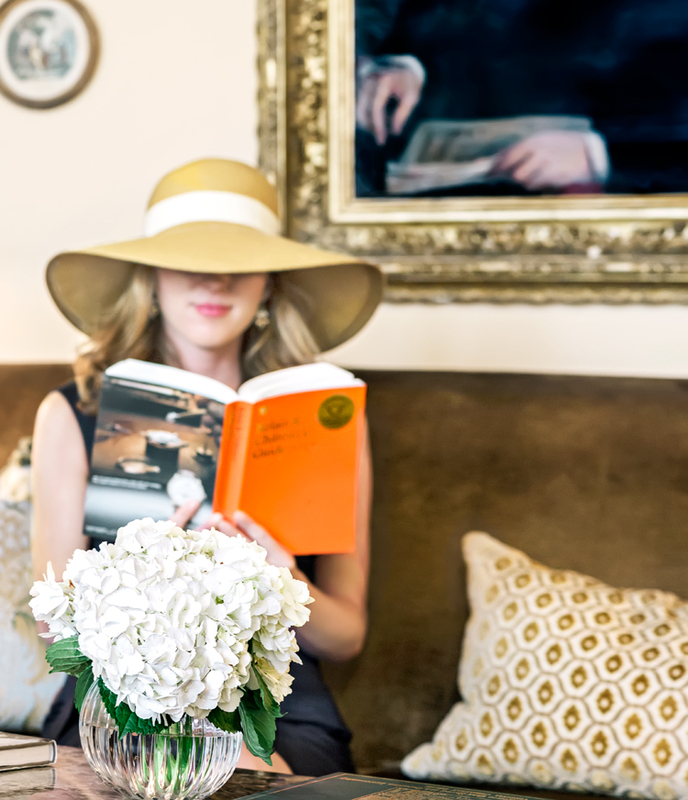 Your fabulous Charleston getaway begins at Planters Inn. Welcome. 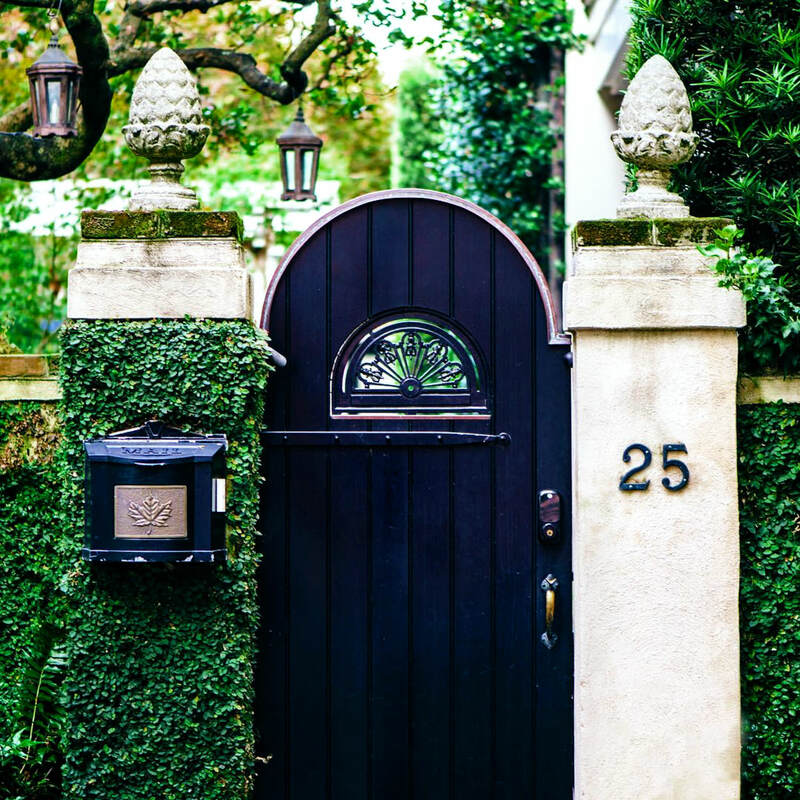 As you will soon discover, Planters Inn is the best place to stay in Charleston thanks to our premier Charleston Historic District location. 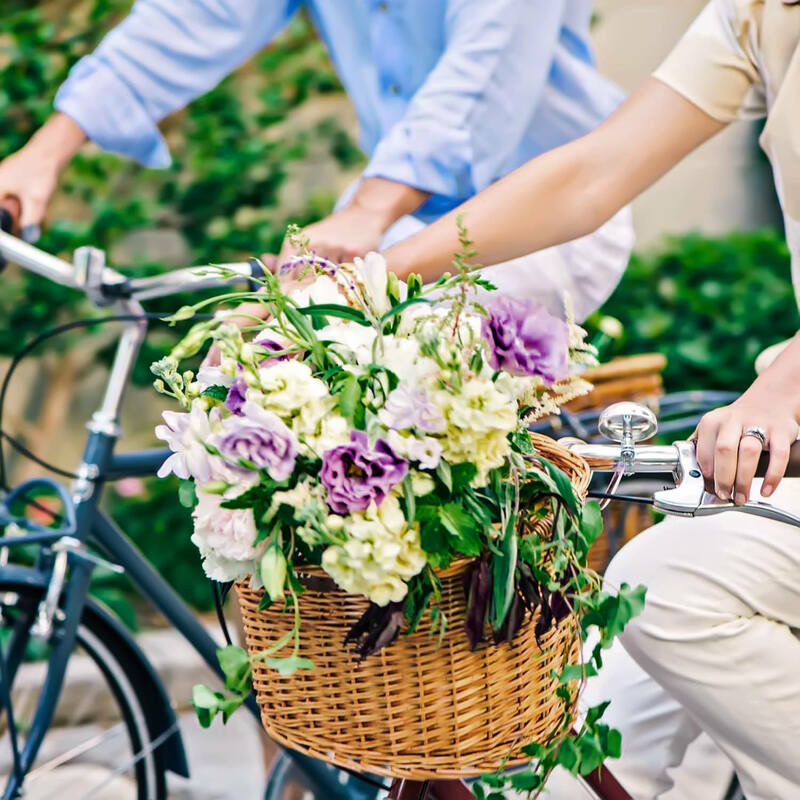 Ask the concierge to give you a map of Charleston, and you will quickly see that all top activities, tours, attractions, and sites are within walking distance of the hotel. As a point of reference: Planters Inn overlooks the Charleston Market, and King Street is one block away. 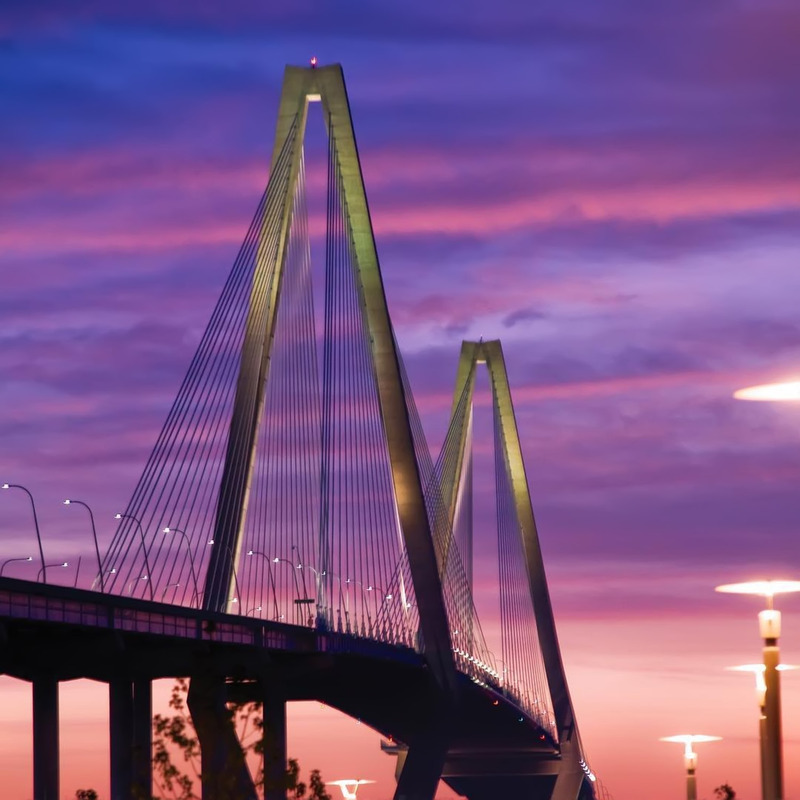 If you are looking forward to Charleston's celebrated local cuisine, you’re in luck! We'll introduce you to one of the most famous coconut cakes in America (and you don’t even have to leave the hotel to discover this delicious 12-layer dessert)! We recently ushered in a new era of style and sophistication with the debut of 11 of the largest suites offered by any of the hotels in Charleston South Carolina. Planters Inn is more glamorous than ever, and we are excited to share these new luxury Charleston hotel accommodations with you. We’ve made staying in a Planters Inn Charleston suite even sweeter! 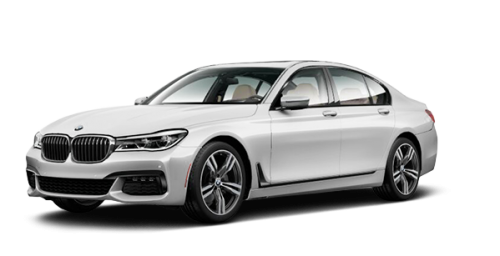 Enjoy complimentary use of a spectacular new BMW 750i or X5 during your stay when you book one of the hotel's suites online. Valid on stays through June 15, 2019. 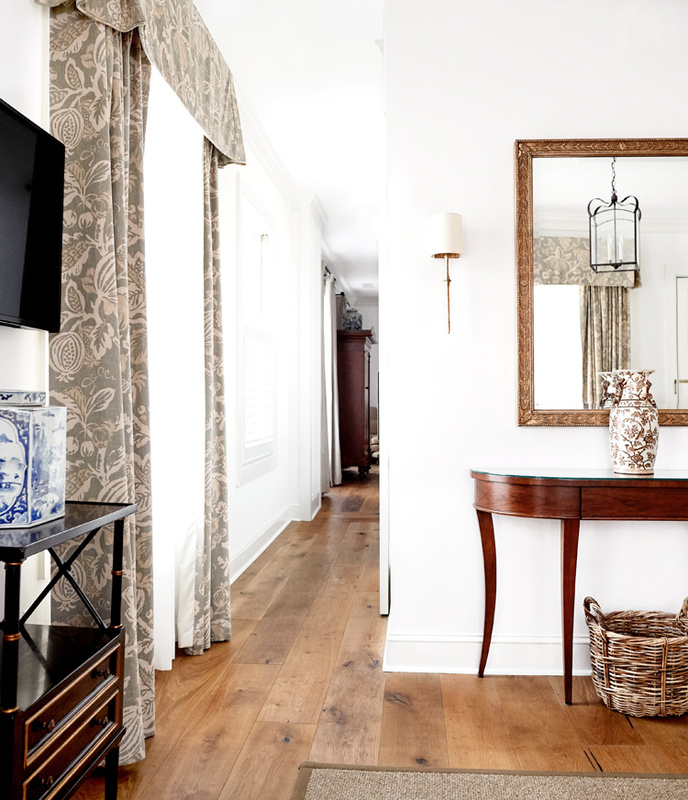 One of Charleston's best-kept secrets, The St. Philip Suite is the crowning glory of Planters Inn's recent renovation and expansion. 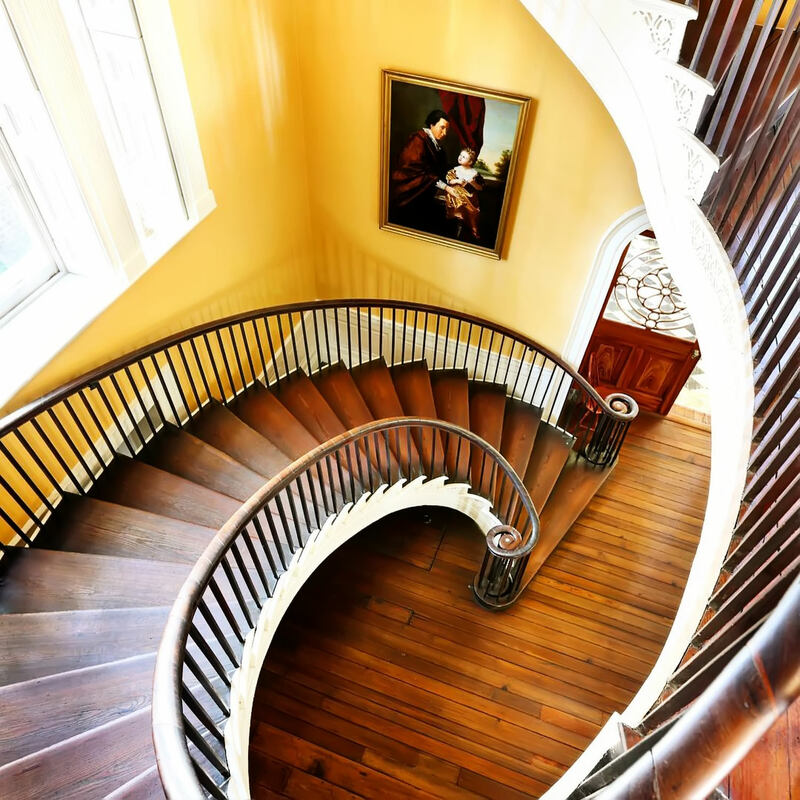 Situated on the top floor of the hotel and designed to feel like a private 1,460-square-foot pied-a-terre in the heart of the Historic District, this grand apartment boasts the elegant yet comfortable details of a private Historic Charleston residence. 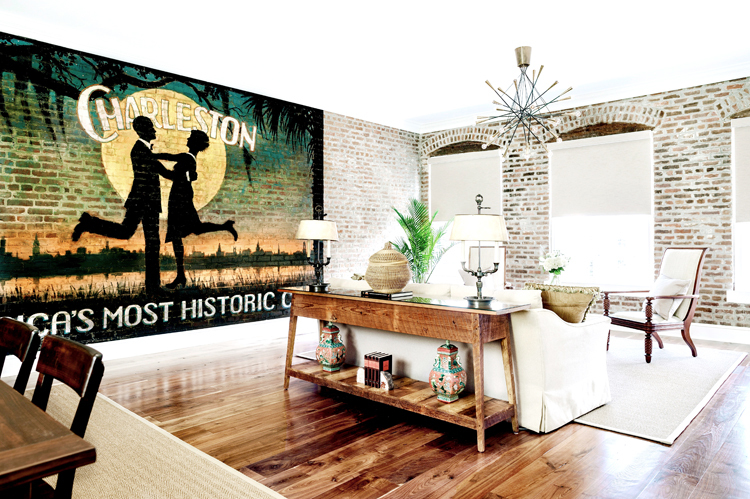 Hardwood floors, high ceilings, Baker Historic Charleston Collection furnishings, artwork by Jonathan Green, arched doorways, and custom lighting invite guests to experience refined Southern style. Discover The Charleston City Market Suite, majestic accommodations offering distinct Southern style and views of America's oldest public market. This one-of-a-kind suite measures approximately 1,100 square feet, making it one of Charleston’s premier hotel accommodations. Designed for guests who prefer additional privacy and a separate entrance; the airy Charleston City Market Suite is exclusively accessed via the picturesque piazzas that overlook Planters Inn’s lush courtyard. The suite's abundant natural light, calming palette of neutral tones, and custom-designed dressing room with dual spacious closets is the ideal setting for bridal parties and portraits. 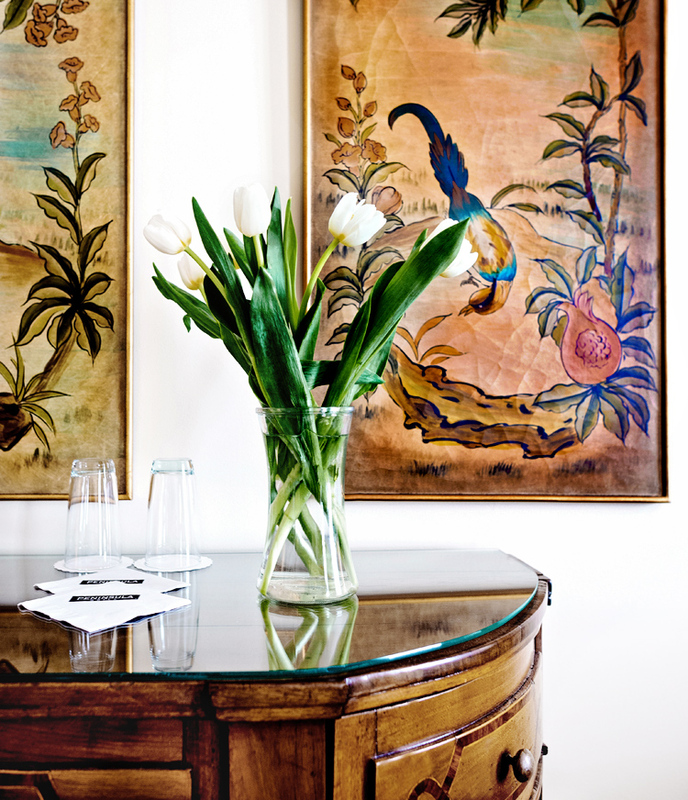 Planters Inn offers the city's best historic hotel accommodations including the one-of-a-kind Proprietor's Suite. Enter into a spacious living room and adjoining dining area with soaring ceilings, seagrass flooring, classic architectural elements including custom crown molding, and soft suede furnishings—an enclave of style and comfort. 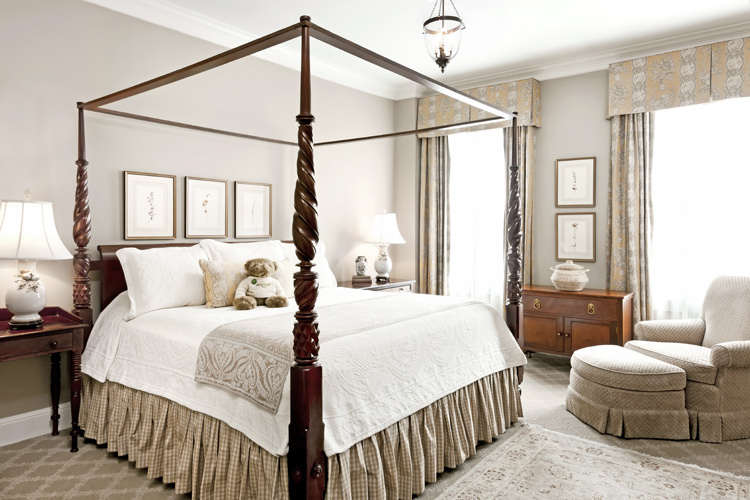 In the master bedroom, a handcrafted four-poster king bed from the Baker Historic Charleston Collection, Italian linens, and soothing, neutral tones create a sanctuary of tranquility. 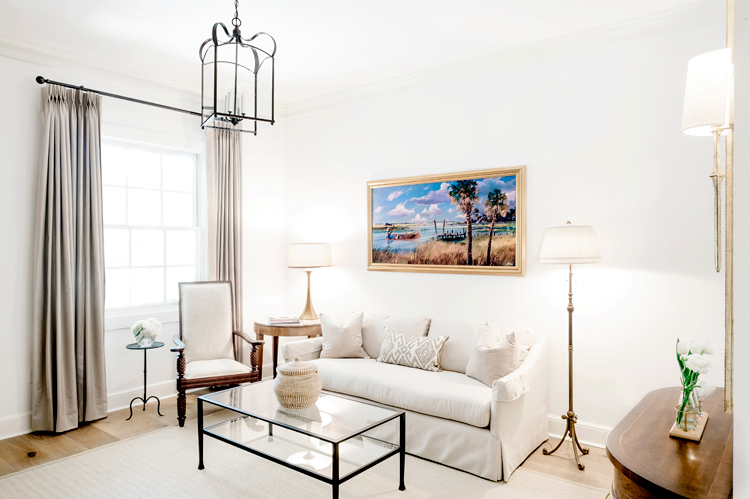 South-facing windows bathe the master bedroom in beautiful, natural light throughout the day and provide a beautiful view of St. Philip's Church steeple, a National Historic Landmark that has stood watch over Charleston since 1850. 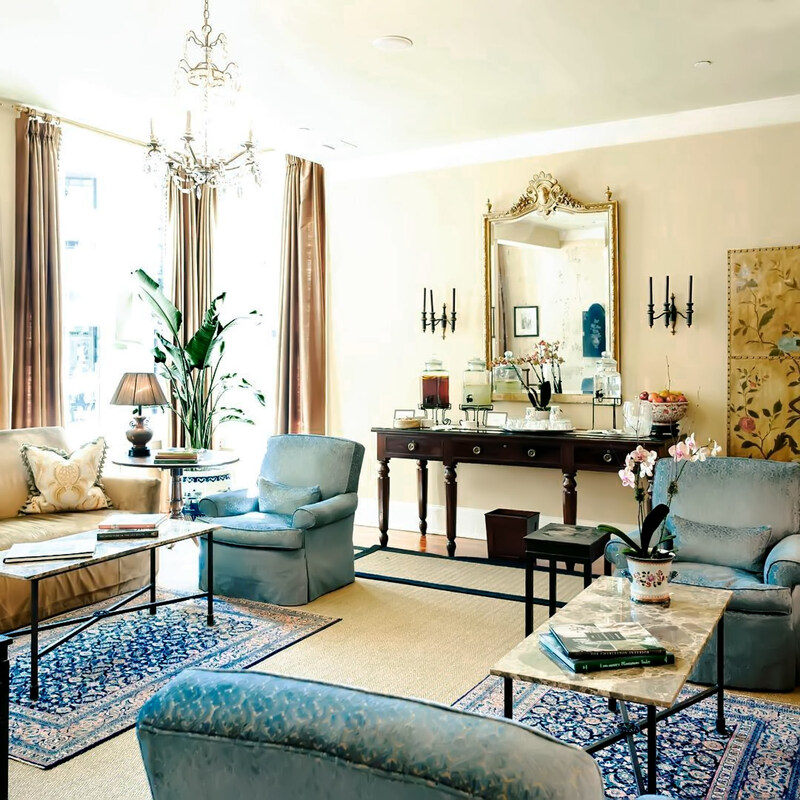 A wet bar and dining table provide the comforts of home while original artwork and antiques lend the suite an air of refined Southern elegance. This suite features a marble bathroom with both shower and separate tub as well as a powder room. 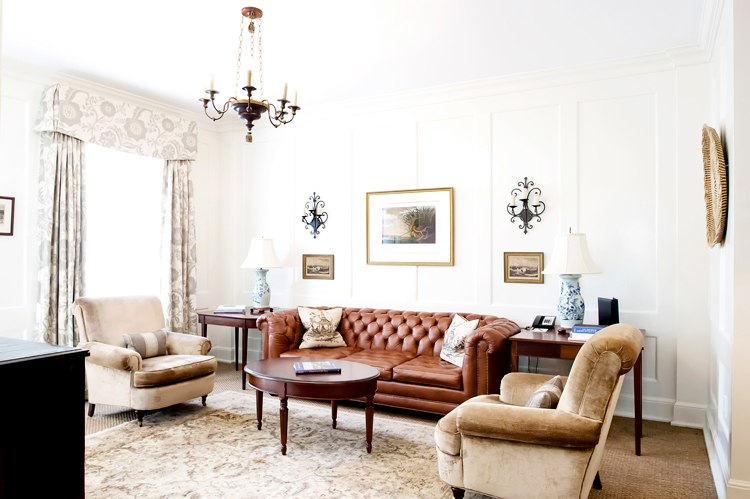 A two-room jewel box-like space with ten-foot ceilings and classic architectural elements, The Governor’s Suite offers refined Southern style in the heart of Charleston's famed Historic District. Step inside this spacious, two-room hotel suite to the fully furnished living room with plush sleeper sofa, custom upholstered chairs, flat-screen tv, coffee table stocked with award-winning local lifestyle magazines, writing desk, sideboard with Nespresso machine, a working historic fireplace. Pass through double doors into the bedroom, where a beautiful four-poster king bed from the Baker Historic Charleston furniture collection with Italian linens ensures and soothing night's rest. A second flat-screen tv is located in the bedroom. In addition to a sparkling new shower, the travertine marble bathroom is stocked with Gilchrist & Soames spa-quality amenities, robes, and slippers. Introducing The Garden Courtyard Suite, spacious new accommodations with décor and ambiance that encapsulates Charleston art de vivre! Enjoy your new home-away-from-home with custom crown molding, original artwork, hardwood floors, and a chic neutral palette. Enter into the comfortable living room with plush seating, flat-screen tv, coffee table stocked with award-winning local lifestyle magazines. The sparkling new bathroom features sleek quartz countertops, shower, and custom lighting. Unwind in the generously sized bedroom where the exquisitely crafted four-poster king bed from the Baker Furniture's Historic Charleston Collection will transport you back to the sophisticated craftsmanship of late 18th-Century Charleston. Step inside our sanctuary of refined Southern style to de-stress & unwind. 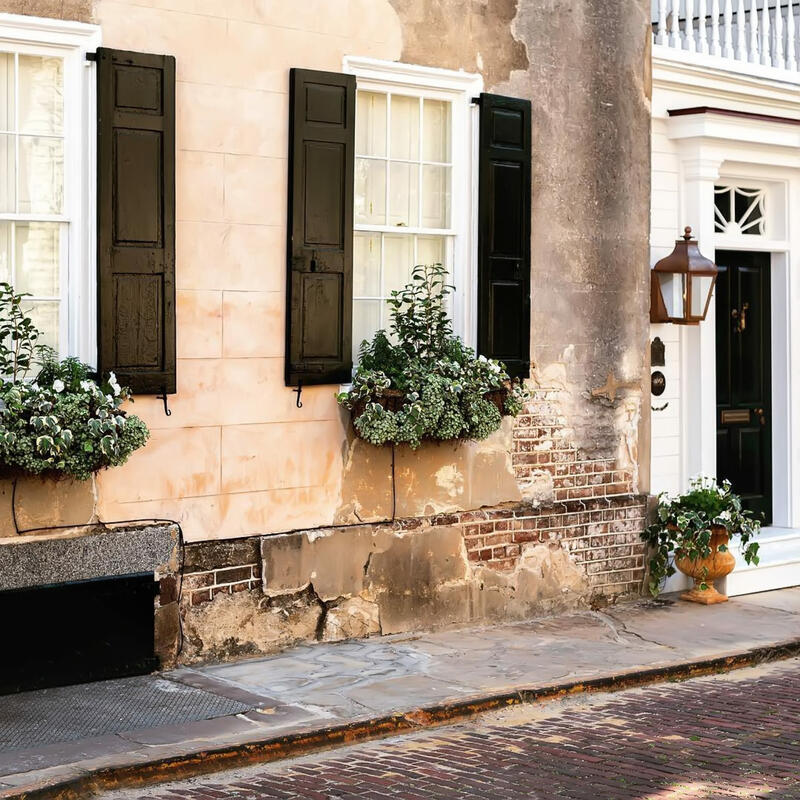 Our boutique hotel in Charleston is beautiful to behold with high ceilings, silk window dressings, dozens of working fireplaces, and premium décor that reflects the classic style of private residences in the Charleston Historic District. 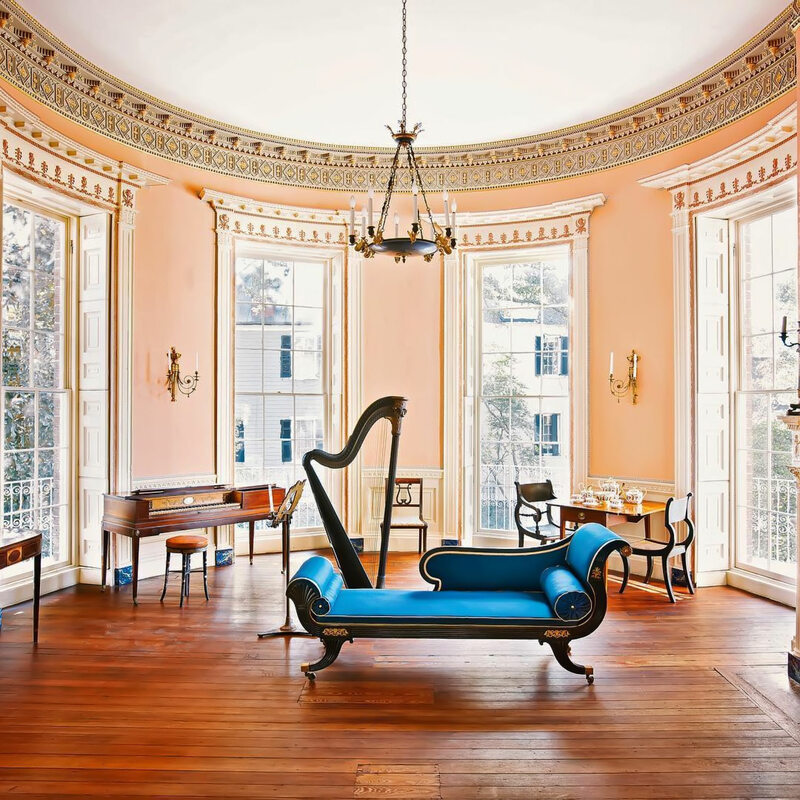 Want to see photos of our hotel in Charleston? Take a tour of our gallery to discover some of the lovely Lowcountry traditions that permeate the historic hotel, including sweetgrass baskets, four-poster plantation beds, Audubon prints, sweeping piazzas, Baker Historic Charleston furnishings, carriage lanterns, and more! 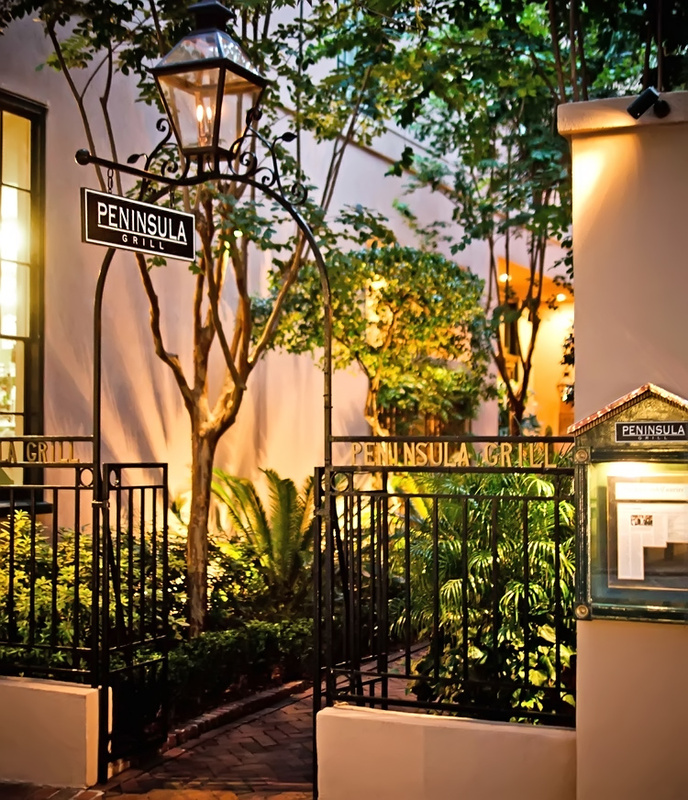 There’s also more to Planters Inn than meets the eye: A hidden Charleston garden courtyard illuminated by flickering lanterns provides the resplendent, one-of-a-kind arrival to the most romantic restaurant in Charleston—the renowned Peninsula Grill. And no visit to Charleston is complete without tasting Peninsula Grill's famous 12-layer Ultimate Coconut Cake. 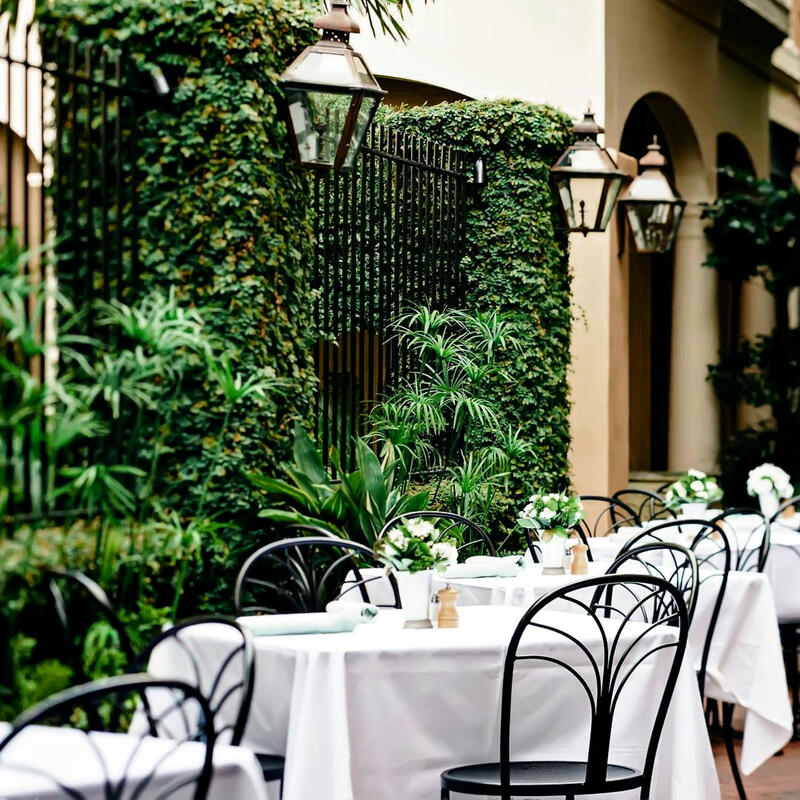 Established in France in 1954, Relais & Châteaux is an exclusive collection of privately-owned landmark hotels and renowned restaurants located in the world’s most romantic, most cultured, and most memorable destinations. 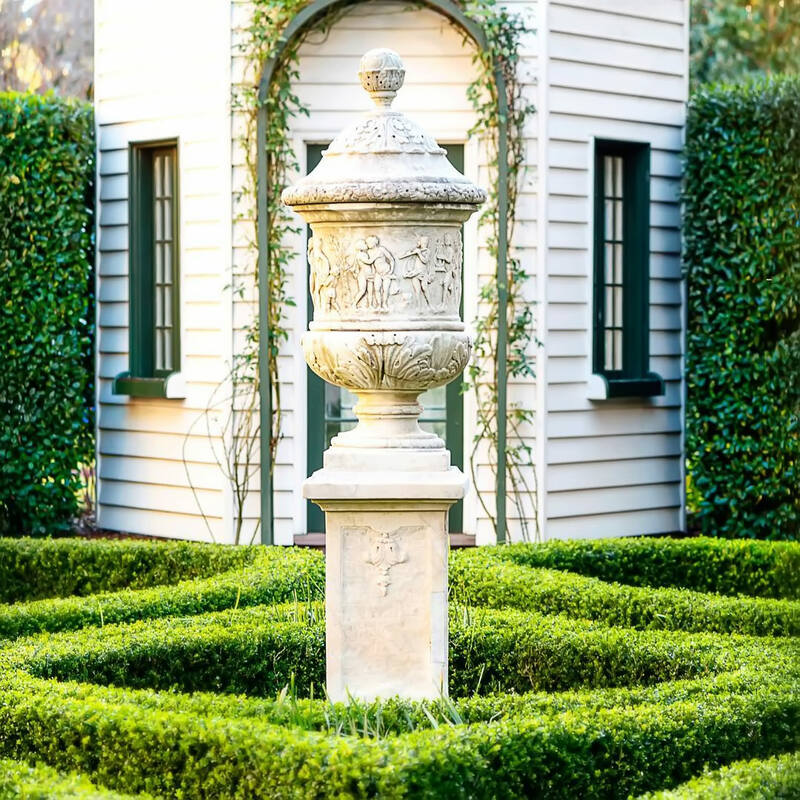 Planters Inn is the only Charleston SC hotel to be a member of Relais and Châteaux. Fellow members include Blackberry Farm (TN), The Surry Hotel (NY), Daniel (NY), Eleven Madison Park (NY), The Wauwinet (MA), Ocean House (RI), Auberge du Soleil (CA), The French Laundry (CA), and The Little Nell (CO), among others. 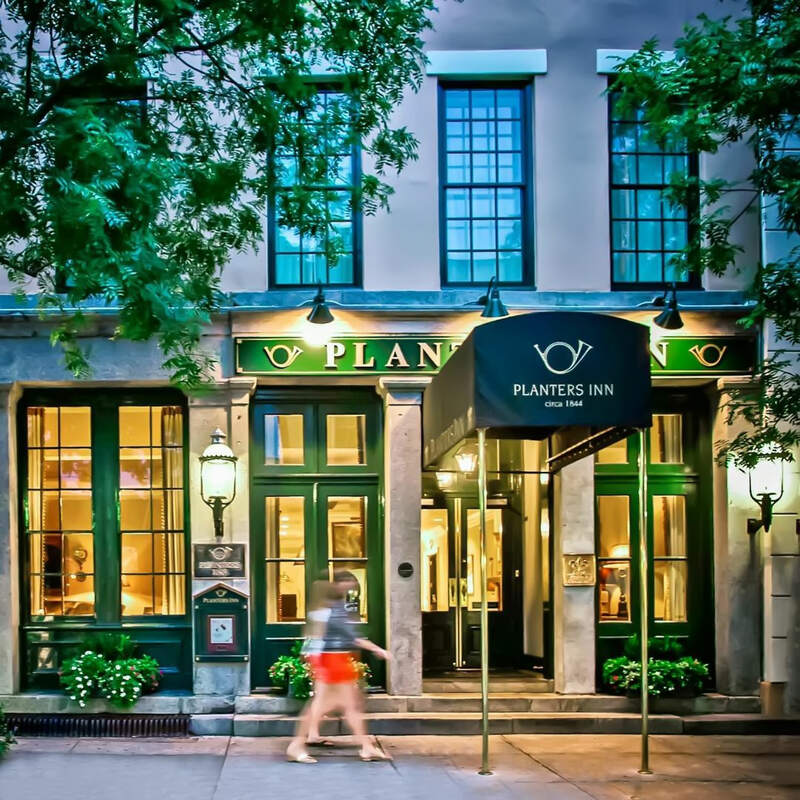 Much more than a luxury hotel in Charleston, Planters Inn is a cultural experience—the embodiment of 19th century splendor and modern comforts. 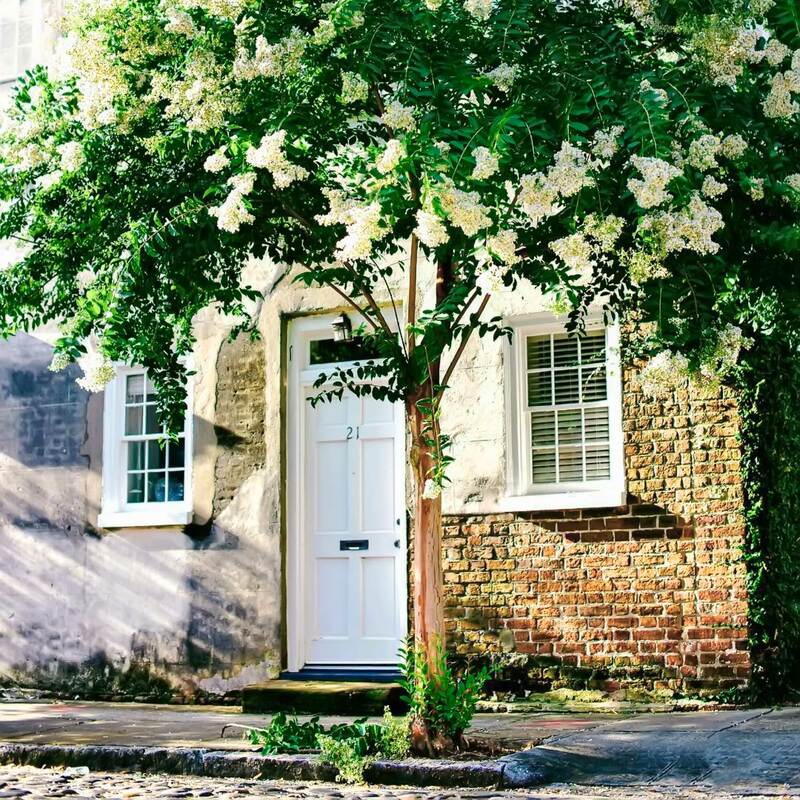 Wake up in the heart of the Charleston Historic District. Walk everywhere. Sleep in a four-poster bed. Your Charleston getaway awaits. When you book with us directly, you will receive the absolute best rates for your travel dates. 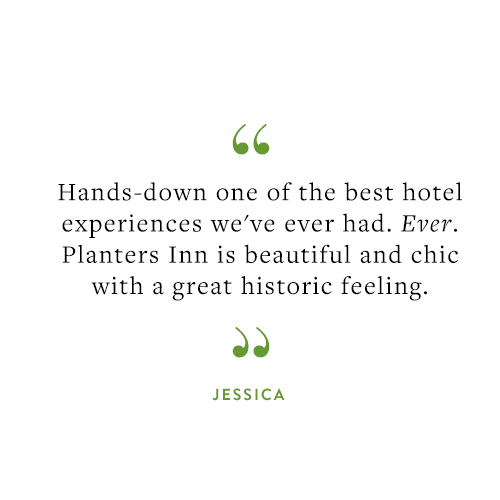 Our reservations are made by knowledgeable staff on-site at Planters Inn Charleston. 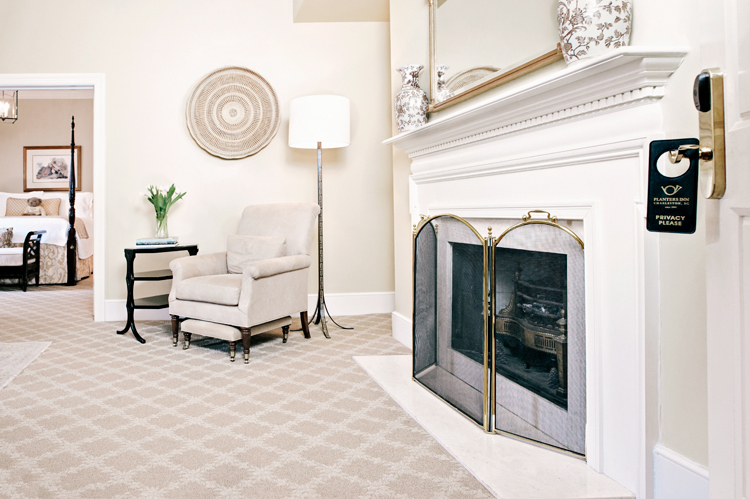 They are your best resource for selecting a room that suits your style and needs. We want your stay at Planters Inn Charleston to be pleasant & comfortable. It is our pleasure to offer the following amenities & services. Follow Planters Inn Charleston on Instagram and Facebook to see beautiful pictures of Charleston South Carolina. 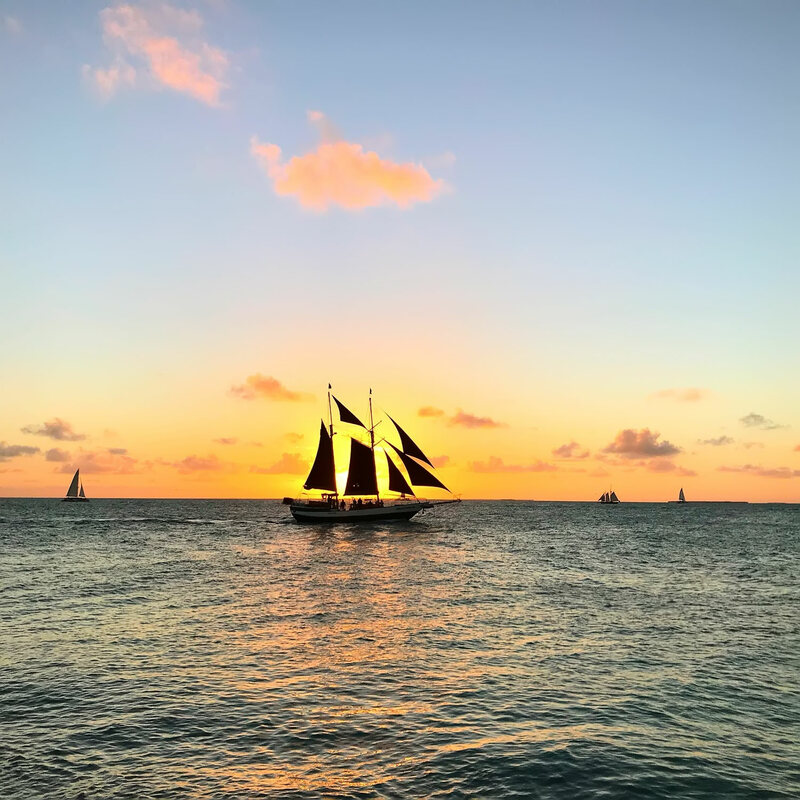 Receive special travel offers and insider tips on what's new at our hotel in Charleston when you sign up for our eNewsletter. Please call the hotel directly if you need to book an accessible room.